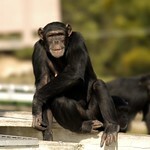 Chimpanzees can reach up to 4 feet in height and weigh as much as 175 pounds, with males being larger than females. The great apes' coats are largely black, although they can vary greatly among individuals, with some having more reddish-brown fur. Each face is unique, as in humans, with different colors, hairlines and amounts of facial hair. Young individuals have a tuft of white hair on their rump that signifies their immature status. 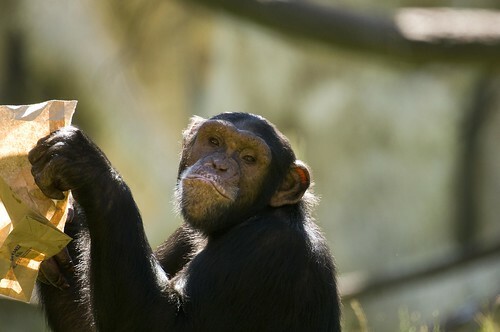 Chimpanzees are found across equatorial Africa, from Senegal to Uganda. Lincoln Park Zoo scientists conduct conservation and research projects with chimpanzee populations in Tanzania’s Gombe Stream National Park, the site of Jane Goodall’s groundbreaking research, and the Republic of Congo’s Goualougo Triangle. 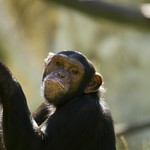 Chimpanzees are endangered in the wild due to habitat loss and hunting. 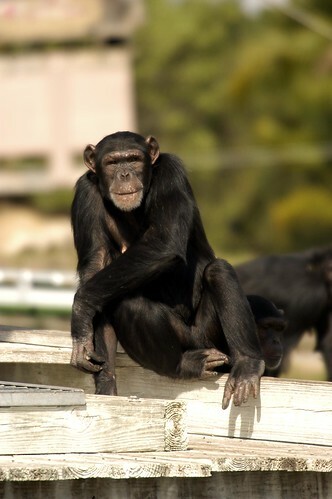 Research by scientists in the zoo’s Lester E. Fisher Center for the Study and Conservation of Apes has shown that people are less likely to identify chimpanzees as endangered, versus other great ape species, due to their use in entertainment. 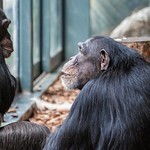 For this reason, as well as concerns about well-being, Lincoln Park Zoo opposes the use of chimpanzees in entertainment. 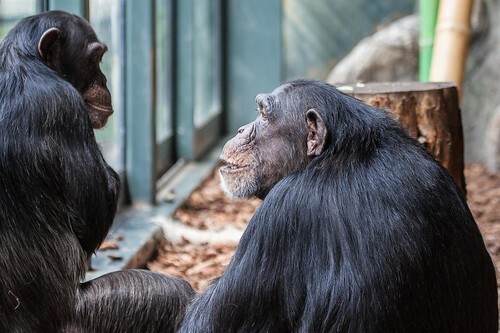 Lincoln Park Zoo participates in the Chimpanzee Species Survival Plan®, a shared conservation effort by zoos throughout the Association of Zoos and Aquariums. 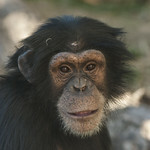 Chimpanzees occupy various habitats, including rain forest, mountain forest, woodlands and open savanna. Chimpanzees live in “fusion-fission” societies: large groups of animals commonly splinter into smaller pairings and then re-gather. Males in a group establish a dominance hierarchy that influences breeding, but mating is fluid. Females have a fertility cycle lasting roughly 36 days, and both males and females will breed with a variety of partners. Offspring are dependent on their mothers for a period of up to six years. Even after becoming mature at 10-13 years of age, many chimpanzees maintain close relationships with their mothers. Female chimpanzees generally migrate into new groups at adolescence while males stay with their birth group. Males typically do not play a role in the parenting process. 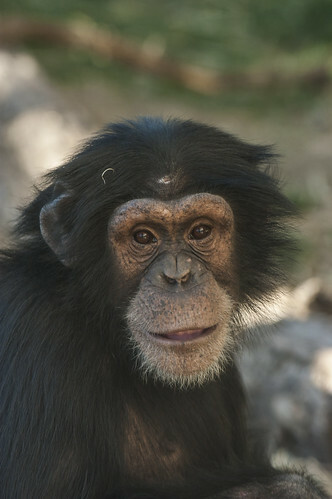 Chimpanzee tool-use, behavior and cognition are studied at the Lester E. Fisher Center for the Study and Conservation of Apes. Scientists use behavior and health monitoring and voluntary tool-use and computer touch-screen sessions to better understand chimpanzees. Long fingers and an opposable thumb allow for object manipulation. The big toe is also opposable for grasping.